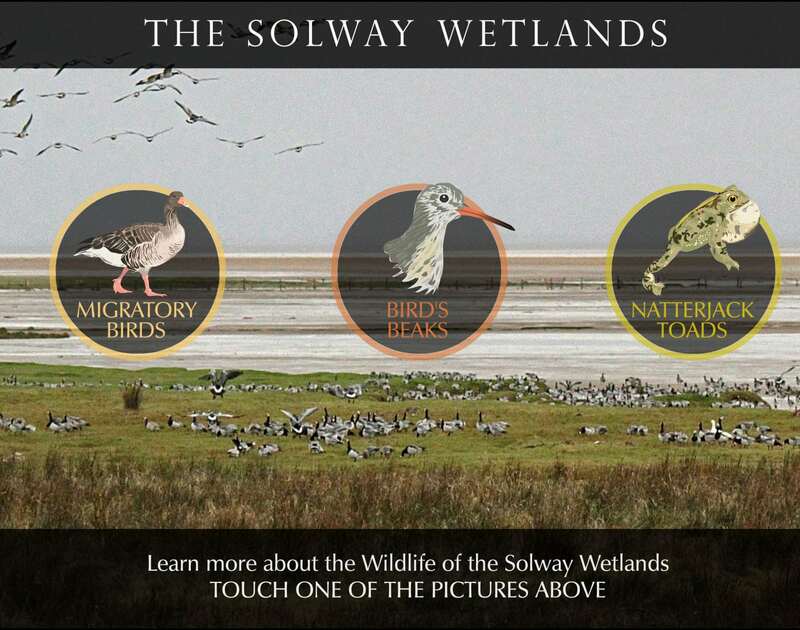 The Solway Wetlands was a temporary exhibition at Tullie House Museum in Carlisle that subsequently toured the region as a travelling exhibition. The travelling touchscreen Kiosks were supplied in custom flightcases and loaded and configured by Media Vision. 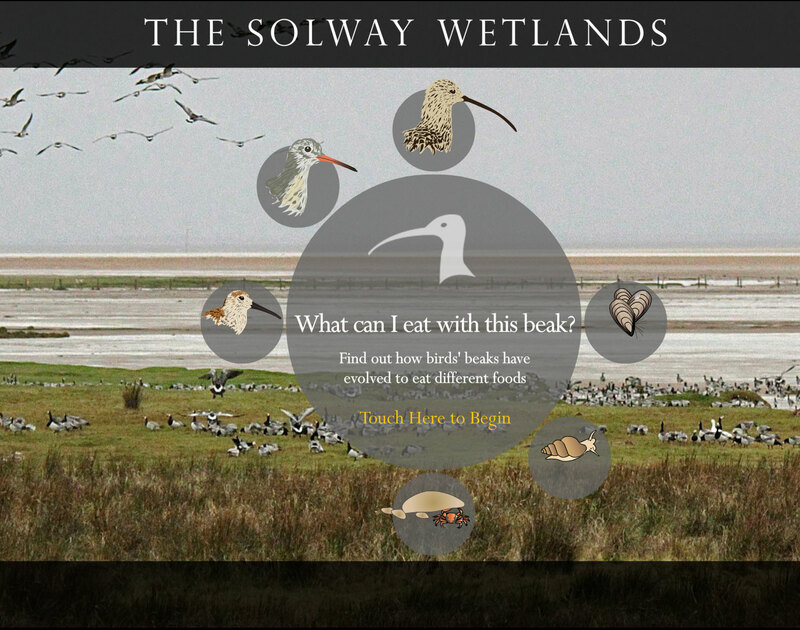 The presentations concern the ecology and wildlife of the Solway estuary, and includes sections about bird migration, bird feeding habits and the breeding habits of the rare natterjack toad! 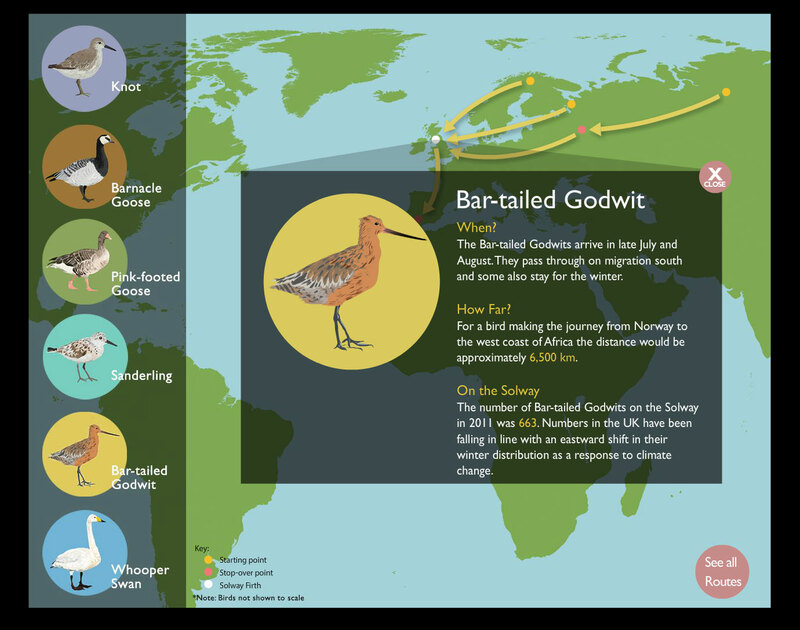 We created all the artwork, and created simple animations to help engage visitors and inform them about the fascinating and diverse wildlife of the Solway.